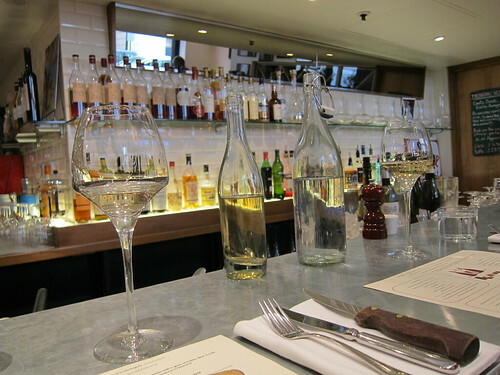 Not far from Trafalgar Square, quite close to the Charing Cross tube station, wine lovers will find a noteworthy place to satisfy their cravings. Terroirs Wine Bar, which we visited following a recommendation from Felix is a charming place with typical French Bistro traits like the metal coated counter, numerous French liquors behind it and the expected buzz of a brasserie (not too loud though – just right). We sat directly at the counter and therefore had the privilege of continuously being able to get wine recommendations from the staff. And you’d probably need some recommendations since their wine list is packed with interesting wines and mouth watering descriptions. 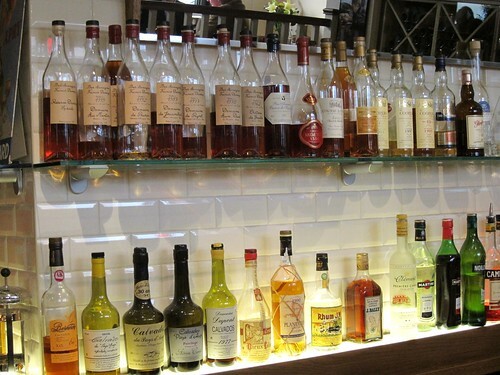 The focus is set on natural wines from France and in particular with a wide selction from the not so common regions. 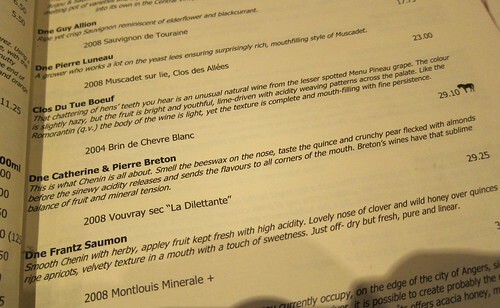 We started with a half of the Breton’s Vouvray “La dilettante” (around 20 GBP for 500 ml). A White wine whose remaining sweetness is perfectly balanced by a nice acidity (in the same way it sometimes happens for Saar Rieslings – but with slightly different taste of course). it is an energy loaded white wine that reveals itself a bit more with each sip! Exotic nose and vibrant body! Not the usual white wine, but which reader of this kind of blogs loves generic wines anyway? The charcuterie platter is delicious. 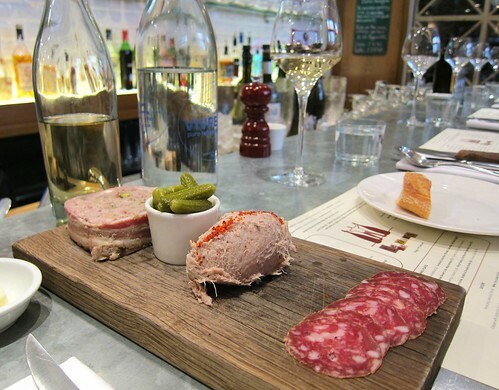 In particular the pork and pistachio terrine is a nice achievement. Of course this all goes very well with the wine and is priced fairly at 12 GBP considering the good quality. 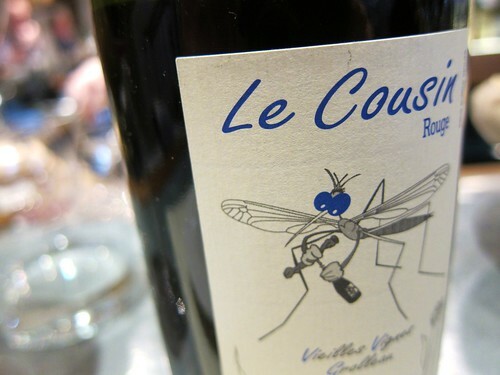 I couldn’t resist trying another wine and so we picked a bottle of 2007 “Le Cousin” Grolleau vielles vignes by Domaines Olivier Cousin from the Loire region. Grolleau is the name of a red variety which is rather rare – at least I never heard of it before. The stinky nose instantly unmasks the genuine biodynamic character of the wine. But it also offers many fruit and earth notes. A truly gouleyant wine that is the opposite from generic and boring! Now an old French Antilles Rum to finish? No that would be too much indeed after all this wine for lunch. We left the bar with a feeling of happiness and the conviction that this place con be recommended on to any wine lover in the world. At least I wished there wa a wine bar with such a selection of charismatic wines in my hometown.